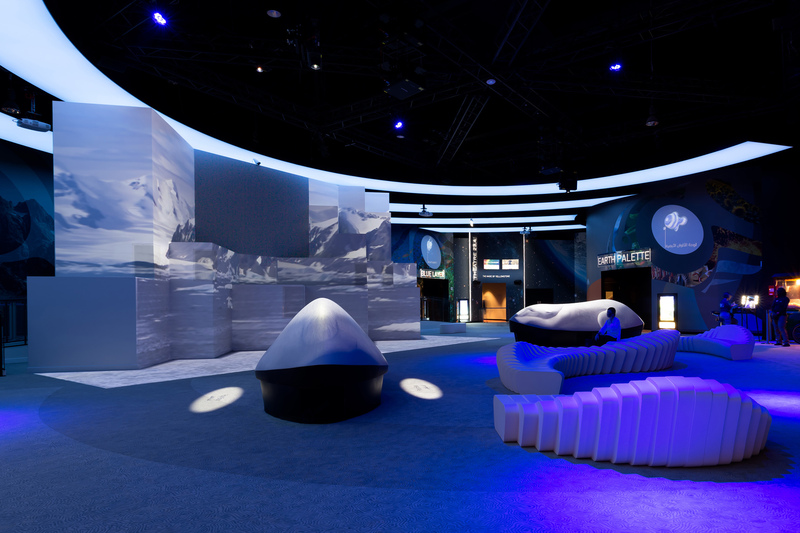 This week’s instalment of the #SBIDinspire series features Orbi, Dubai an interactive visitor centre. 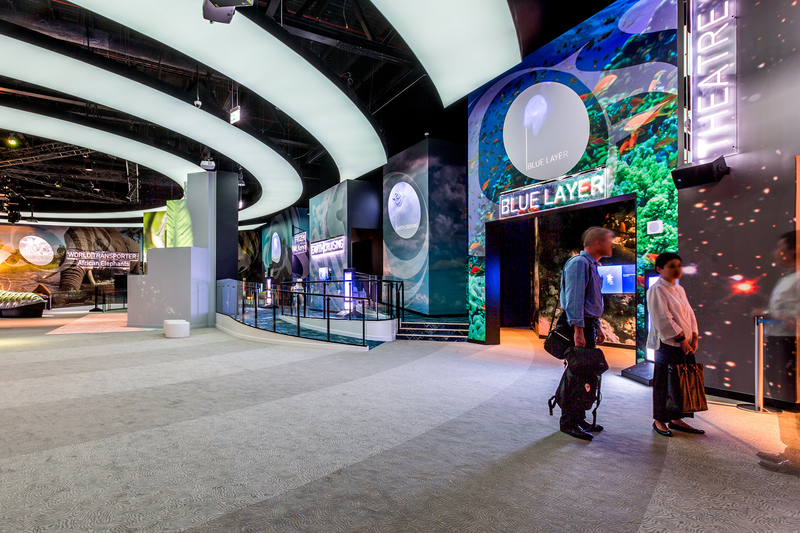 Orbi was conceptualised to offer an amazing digital experience to its visitors and the entire space revolves around interactive technology. 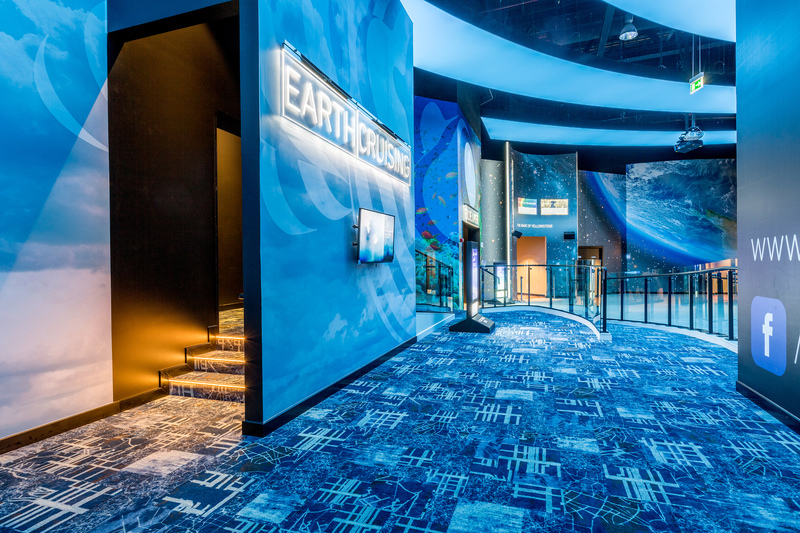 The space is designed for people of all generations and different walks of life to share the fascination with nature. 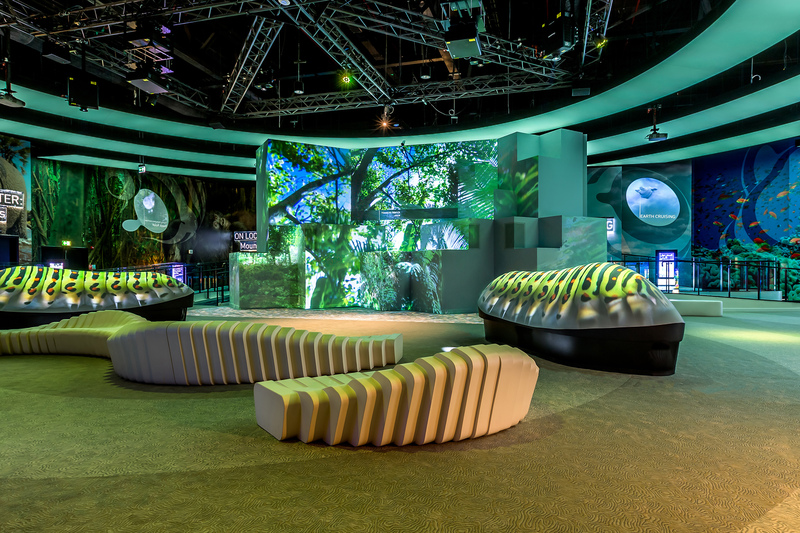 Orbi Dubai fuses BBC Earth’s world-renowned Natural History content with SEGA’s innovation and plunges visitors into the heart of the natural world! From the heat of the Dubai desert, visitors can experience the chilling temperatures of Mount Kenya at -25°C. 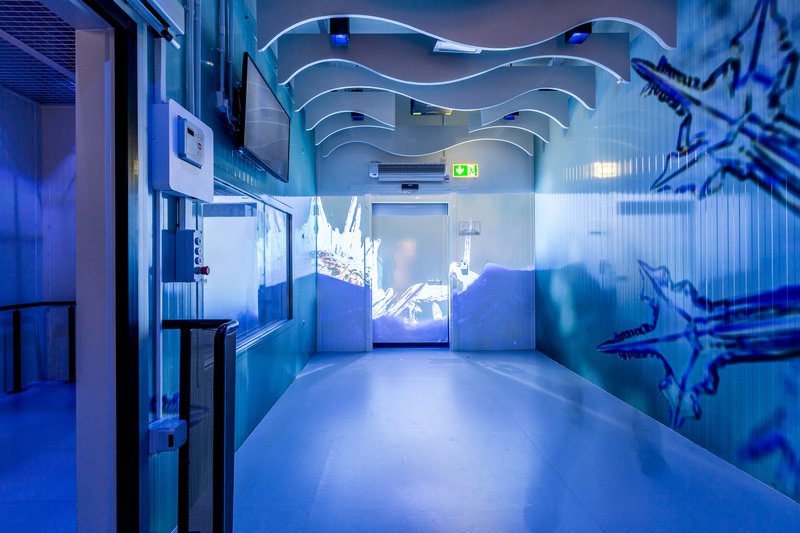 This multi-part experience takes the guest who dares, into freezing Polar environments where they experience the sensation of Antarctic cold and blizzard conditions. The space is equipped with real time thermal image of guests as they react to the freezing Polar conditions, all displayed on a monitor. 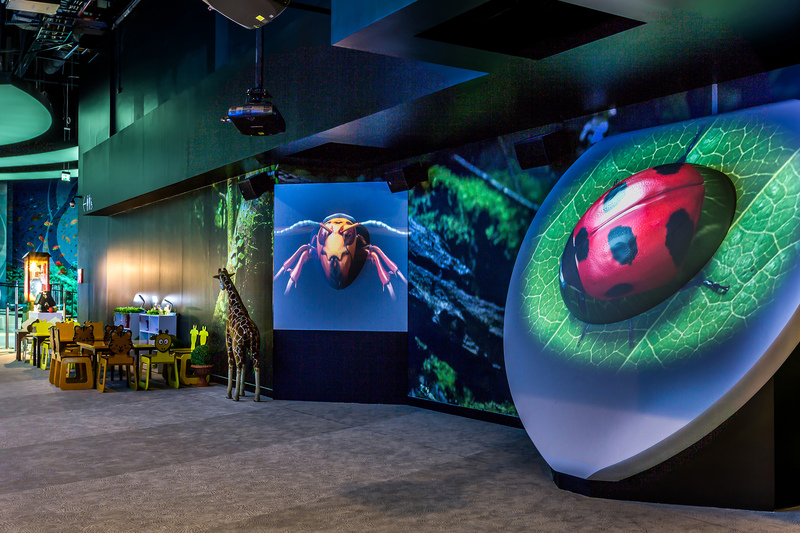 To create an interactive, multi-sensory and educational virtual wildlife park for people of all generations. BBC Earth’s world-leading nature content was teamed with SEGA’s cutting edge technology to plunge visitors into the heart of the natural world and Bluehaus Group were briefed to develop the interior design and MEP engineering design to suit and integrate all technology to create an experience that replicates the reality of being among nature. 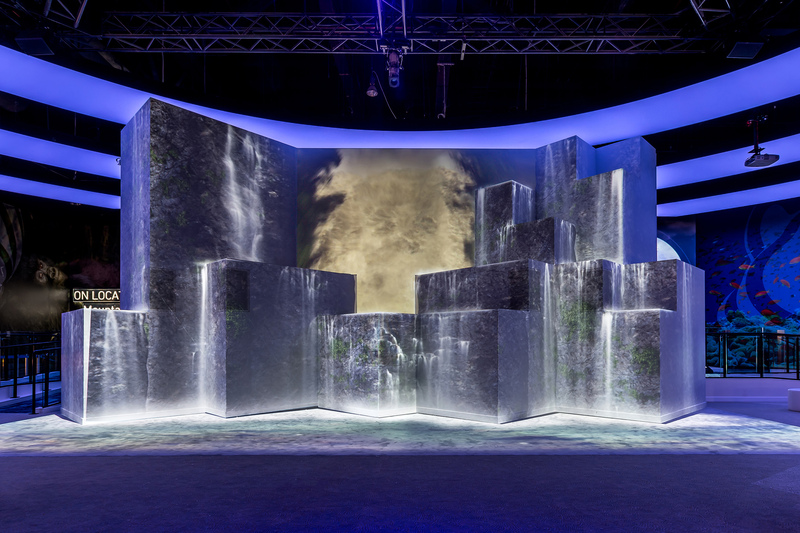 This technology includes laser projected images and videos, a sophisticated 22 point sound system with 3D soundscapes, scent technology, wind, fog, strobe lighting and vibrations. Nature! All elements within the design were developed to emulate the natural environment as closely as possible. Furniture pieces, such as organic-shaped benches, and carpet designs were bespoke. One of the toughest hurdles to solve was the air distribution such that it does not interfere with the effects (fog) and fire alarm such that neither life safety nor the audience experience is sacrificed. In the two main theatre (‘Meet the Komodo’ and ‘Earth Theatre’) we designed displacement ventilation to minimise air-movement from interfering with the fog effects. Knowing that our work is helping to educate about the natural world and encouraging people to take ownership of it for future generations. The end-result has far exceeded our own expectations and this is testament to the collaborative approach by all involved to deliver what is a highly complex and technical project. Therefore, we wanted to enter to reiterate how proud we are of our team who continue to commit to Bluehaus Group and to build awareness of this success on an international scale. Questions answered by Emily Wong, Technical Design Manager at Bluehaus Group.